the manufacturers, resellers and end users. Knowing the industry is plagued with counterfeit and inferior products, Traczone warrants all products sold from any of its outlets to be genuine and premium. With demand for Offshore Oil & Gas, Marine, Mining and Power Generation Industries to be compliant with more stringent international quality standards, our customers enjoy peace of mind that every product purchased from any of our stores are genuine, quality assured and free from defects. 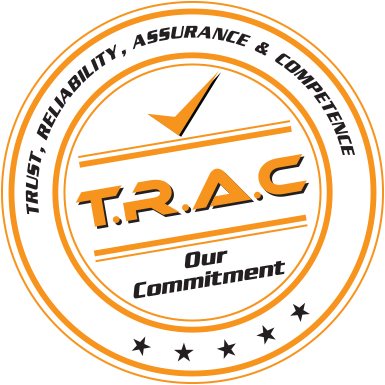 Traczone does NOT carry any counterfeit products and all our products are quality assured. Traczone is headquartered in Singapore. Traczone continues to grow and expand its market reach worldwide. Malaysia, Indonesia, Philippines, Myanmar, Vietnam and U.S.A.
known for its enterprise and service. meeting or exceeding their expectations regularly. we carry out our duties diligently to achieve personal and organisational success. in response to market changes, growth and opportunities. We foster a culture of open communication where teamwork is built. We act with integrity, trust and respect towards each other. to achieve lasting win-win relationship and positive outcomes. RELIABILITY – Fulfill our commitments consistently. ASSURANCE – Genuine and quality products, No counterfeits. COMPETENCE – Professional service every time everywhere.